Online Sales Thought for the Day: Think Product and Service First… Not Your Business! Quick reality check: Are you really making sales online? Or is your website just sitting there and costing you money? If you really want to make money on the web, you have to change your business paradigm. No matter how great your company is… whether customer service, ideas, attitudes, you must put your products and services first. What?!? I don’t get it! Consumers who don’t already know your business are searching for what THEY want… Products and Services. Not your business. Get rid of your yellow pages mentality. (that’s soooooo ”90s) Of course you had better have phenomenal customer service and provide great products and services… but to get a consumer to actually find and complete the sale you had better put the latter in the forefront, first. Period. 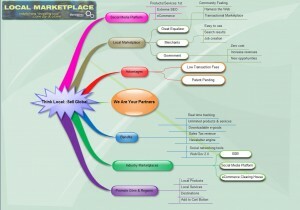 What exactly is Local-Marketplace.com and how is it different? 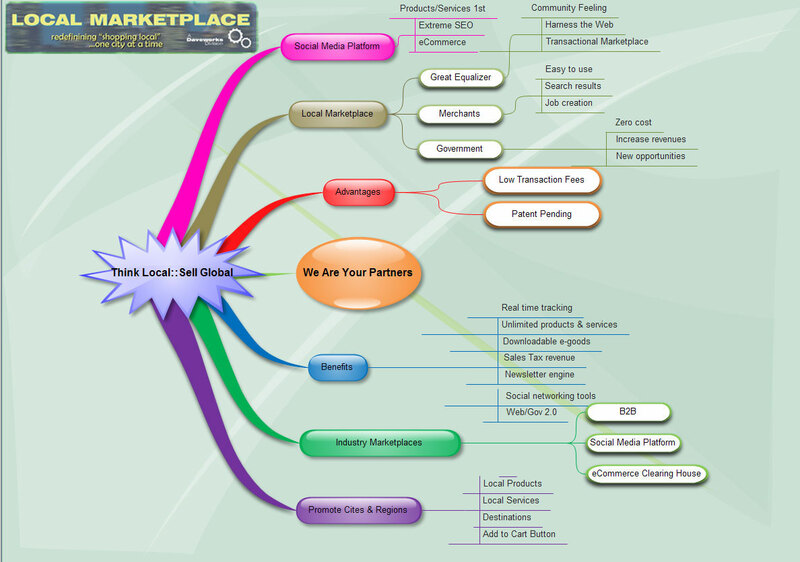 * Local-Marketplace.comis an easy to use, but very advanced Online City Marketplace that allows Local Merchants to sell their products and services collectively WHILE marketing YOUR CITY to the rest of the world! * Participating merchants will have a team of highly motivated web pros working hard in the background to optimize the products and services you insert into the system, so they are found in the search engines!